This series of articles defined two types of metropolitan counties and described their metropolitan settings. Edge counties were presented as places experiencing rapid population growth on the periphery of expanding metropolitan regions. Core counties contained the region’s largest principal city, were generally located in a central position and were not experiencing significant population. To gain an understanding of the divergent dynamics found within each type of county, a case study was conducted that compared Edge and Core counties. 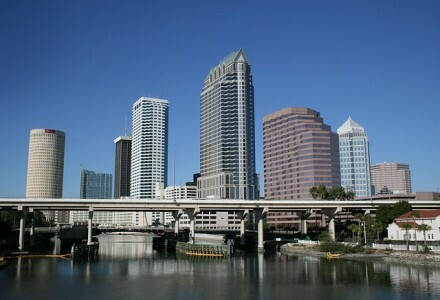 Two separate metropolitan statistical areas (MSAs) were chosen as the case study regions; Minneapolis-St. Paul-Bloomington located in Minnesota commonly called the Twin Cities and Tampa-St. Petersburg-Clearwater located in Florida referred to as Tampa Bay. What changes occur when counties on the edge of metropolitan regions experience rapid growth? Does growth amplify conflict, creating a unique set of challenges for public administration? To probe these broad questions, a survey was constructed that focused on four themes: budget conflicts, planning conflicts, relationship conflicts and administrative conflicts. Identical questions were asked of survey respondents in each of the selected Edge and Core counties. This article compares the findings. Edge counties were perceived as more rural and less urban. The experience of constant growth was a common recollection in Edge counties although the development of needed amenities to match the growth was considered to be lagging. Five of eight county service expansions were found to be stronger within Edge counties; public safety, transportation, sewer/water, economic development and schools. Core counties’ expansions emphasized social services, solid waste and planning and zoning. One of the starkest contrasts was based on sufficient revenues required to fund expanding budgets. Edge county funding was considered to be lacking by a strong majority of responses. Over 60 percent of the Edge county participants stated that funding was not sufficient contrasted between 33 and 25 percent in Core counties. Funding issues were also mentioned as the cause of modest conflicts with their elected officials, with significantly higher levels of conflict cited with their sheriffs. However, the highest levels of sheriff-based conflict were found in one Edge county and one Core county leading to the inference that it was impacted by personalities and not necessarily growth. Edge county relationship conflicts occurred at higher levels with homeowners associations and special districts, especially in Florida where they are more prevalent. Conflicts with cities and neighboring counties were evident in all counties, although the counties of Florida recorded much higher levels. This was likely due to the significantly different approach to development policies in that state. Regional influence was higher for Edge counties although it was predominantly based on confrontation and less on cooperation. Tension with newcomers versus longtime residents was significantly higher in Edge counties. Sustained, consistent patterns of planning and long-term thinking were difficult to find within Edge counties. One was given a high rating for long-term thinking in the past but a very low rating for it in the present. The reverse was the case in the Florida Edge county. The observations and comments indicated that consideration of the future is volatile and subject to significant changes based on political impacts. Planning processes in Core counties were more prevalent but its application and relevance were also questioned. Although all of the counties had embraced social, economic and transportation planning at some level, two had never adopted land use planning as a function. All of the counties acknowledge use of census data but what they did with it was unclear from a planning perspective. Few formal, current plans were evident within Edge counties while strategic plans were either inexistent or embryonic. The only exception was noted in one of the Edge counties where recent efforts had developed strategic planning processes after years of chaotic, unplanned growth. Within the administrative sphere, all counties revealed a strong presence of influential groups that promote growth. The involvement at the political level was significant within the Core and Edge counties of Florida. Edge counties also had a higher level of political involvement within daily administrative functions. One Edge county had experienced high levels of administrative turnover during its initial stages of the growth as it transformed from rural to suburban communities. In summary, mixed levels of conflict existed within all of the counties but with few exceptions, occurred at higher levels within Edge counties. Budget tensions were higher, relationships were more stressful, planning was lacking and interference within administrative processes was evident. The next article explores 16 different administrative conflicts that were found within growing Edge counties.